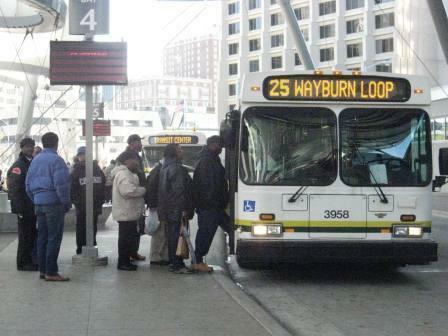 You’ve heard the impassioned arguments about public transportation in Michigan. Let’s start with the rational. Our roads are among the worst in the nation. Our lawmakers have clearly demonstrated that they are not up to the task of maintaining our aging infrastructure. Michigan, a state known for producing automobiles, has become a place where it is increasingly difficult to drive one. This has created a unique opportunity for public transit to gain popular support, and advocacy groups are moving swiftly to turn this political debacle into a rare opportunity. Let’s move on to the emotional arguments. Anyone who saw the Detroit Free-Press story about James Robertson’s daily 21-mile trek on foot through the frigid streets of Detroit certainly felt bad for this guy who couldn’t get a ride to and from work. Public transit is a lifeline to employment, medical care and healthy food for many in our state, so much so that some advocacy groups consider it to be an issue of social justice. Detroit would be better off investing in more equitable access to ride-sharing services and buses than massive new infrastructure projects, says Jeff DeGraff. Public transit is also environmentally-friendly. Public transit reduces traffic gridlock. Public transit makes affordable transportation possible for more people. Yes, yes and yes. So what’s the problem? Public transit only works in specific forms and in locations with very unique characteristics. It fails in most others. According to a recent study by the Brookings Institute, more than 75 percent of jobs in America’s 100 largest metro areas can be accessed via public transportation. The problem is that only about a quarter of the workforce can get to their job by public transit in 90 minutes or less. According to the study, if people don’t believe they can get where they need to be in a reasonable amount of time, they don’t ride. There are also issues regarding the financial value of public transit, particularly when considering the development of new rail systems -- both main line and light rail. In terms of main line rail, in the tightly packed East Coast corridor, it has worked well. For more distant and less dense cities such as San Diego and Minneapolis, light rail has been successful. These transit systems aid the rapid job growth in these cities and service robust neighborhoods. But what if your city center has been struggling for decades to create jobs and your outlying neighborhoods are distant and sparsely populated? While new public transit projects can support a thriving urban center, there are not many examples – only Brooklyn and Oakland come to mind -- where it has actually helped rejuvenate one. While public transit can be a reasonable investment for growth in our communities and a means for us to support our values regarding equality and fairness, the viability of these systems is highly situational and often problematic. So what’s the Next Idea? Connect the Dots: Anyone who has lived or traveled to Western Europe or East Asia will attest to how the various modes of transportation are coordinated. For example, let’s say you land in Schiphol Airport outside of Amsterdam. You take the train to the city center that runs every 15 minutes. From there, you take the bus to your hotel or home. Every aspect of public transit is synchronized with the other. The schedules are adjusted in real time to make transit from all points as seamless and timely as possible. There are comfortable staging areas where you can buy a cup of coffee or catch up on some work. More so, tickets can be purchased for the next part of your journey at most points. Now consider the same example in any American airport, including New York, Boston and Atlanta. The disconnections are numerous and schedules are disjointed. Even the District of Columbia, often considered a model for this inter-connectivity, pales when compared to many public transit systems outside the U.S. The point is that we don’t need to build more infrastructure or even invest in more forms of public transportation. What we need is to adequately support and coordinate the forms of public transport that we have now. The logistics issues are relatively easy to solve with available dispatch technology and software scheduling systems. The commercial ambition and political wherewithal to do so, however, are another matter entirely. Remember, our politicians couldn’t even fix the roads, so what hope can we place with them to get our public transit providers on the same page? And with issues of class overshadowing the conversation, would they even want to? Unfortunately, Michigan’s existing transit infrastructure is woeful. The failure to adequately reinvest in our existing systems severely limits this “use what you have now” option. It’s no different than failing to service your car. At some point, it fails to service you. The issue of public transit could soon become mute, however, as alternate providers are quickly filling the service gaps. Consider the case of Lyft and Uber, the on-demand ridesharing networks. A recent Forbes article entitled “Could Lyft And Uber Put Public Transit Out Of Business?”, suggests that individuals using mobile-app-based networks will do what Michigan municipalities could not: get people where they need to go in a timely and cost-effective way. This form of disintermediation would wrest control of public transit from politicians altogether, since regulating peer-to-peer networks would be virtually impossible. Finally, given the omnipresence of mobile technology, smart phones and the like, organizations may no longer be necessary for public transit. You may be able to query your Facebook friends or some other social media site to find a timely, safe and affordable ride. It may be that the best way forward in Michigan is not to invest in expensive rail or repair the onramps to our physical highways, but instead to invest in building new onramps that allow for more equitable access to our digital highways. This would put the public in the driver’s seat of public transit, and push the endless debates to the backseat. Jeff DeGraff is a clinical professor of Management and Organizations at the Ross School of Business at the University of Michigan. Jeff DeGraff discusses public transit options for Michigan on "Stateside"